The Bishop: The Rev. Jessica Crist is Bishop of the Montana Synod of the Evangelical Lutheran Church in America. A resident of Great Falls, she is married to Turner Graybill, a retired attorney. They are members of Bethel Lutheran Church in Great Falls, Montana. They have two adult children—Rhiannon, who is Assistant Professor of Religion at Rhodes College in Memphis, and Raphael, Chief Legal Counsel to the Governor of Montana. Bishop Crist grew up in Pennsylvania and is a graduate of Yale College and Harvard Divinity School. Prior to assuming the office of Bishop, Pastor Crist served as Associate to the Bishop for 5 years, and Director of the Northern Rockies Institute of Theology for 18 years. She served congregations in Great Falls, Montana, and Cambridge, Massachusetts, and started in ministry as a campus pastor. She served on the Transition Team that helped put together the Montana Synod from the predecessor churches, and was elected Synod Secretary at the Constituting Convention. She served in that capacity for 12 years. She has worked with the Montana Association of Churches for many years, including serving as President, and as part of the teaching staff for the Lay Ministry Institute. She has served on the Board of Lutheran World Relief. Her community service over the years has included chairing boards for the local YWCA, the PTA and the hospital’s Women’s Health Board, and wrote a column for Montana Woman Magazine for 12 years. Bishop Crist was elected Chair of the ELCA Conference of Bishops in 2011 for a four-year term. She currently serves on the Board of the Montana Association of Christians, and on the Board of Luther Seminary. She served as a member of the ELCA Task Force on Communal Discernment, the Bishops’ Liaison Committee for Ecumenical and Interfaith Relations, and the Bishops’ Domestic Ready Bench. She currently chairs the Bishops' Justice Ready Bench, and is on the ELCA Church Council's Theological Education Advisory Committee. Associate to the Bishop: The Rev Jason Asselstine was ordained in 2004 and has served congregations in Northern Minnesota and Choteau, Montana before receiving a call to the Montana Synod staff beginning in 2014. Jason works in the areas of mobility, youth and serves as the director of the Lay Pastoral Associate program. He is responsible for the Montana Synod Nominating Committee and oversees First Call Theological Education. He travelled with Youth Encounter on a Captive Free team playing guitar and bass and attended Northern Arizona University in Flagstaff with a degree in Sociology, Family Studies and Psychology. He graduated with his Master of Divinity from Trinity Lutheran Seminary in Columbus, Ohio and has training in Family Systems Theory through the ELCA Systems Academy. Jason is married to Jennifer and together they have two children, Daniel and Taylor. As a family they enjoy traveling whenever possible and exploring new places and meeting people. They live in Choteau, where they are involved in many community and social activities through church and 4H. Jason is a life-long Lutheran and an avid outdoorsman. His first education came from the time he spent as a youth wandering the rolling hills in central California. Ever since that time he has enjoyed a deep sense of connection with God through creation. He is passionate about sharing the love God has for us and exploring the new things God is doing in the world. He enjoys using words like “intentional,” “authentic,” and “beautiful,” and is a mixture of MacGyver, Tim the Tool man and Norman Maclean (A River Runs Through it). He loves people and the Church and cannot wait to see what heaven is like. Pastor Peggy Paugh Leuzinger is the Montana Synod's Director for Evangelical Mission (DEM). She serves on behalf of the ELCA as a part of the Montana Synod staff in areas of stewardship, mission support, ministry development/redevelopment, and working with the Montana Synod Vitality Team. Peggy grew up in the Bozeman area and graduated from Pacific Lutheran University and Luther Seminary. She has served rural and small town congregations in Montana along with her husband Steve. She also served two congregations in the SW MN Synod prior to returning to Montana in 2000. She currently lives in Livingston and Great Falls as she serves as the DEM. Peggy served as Synod Secretary for the Montana Synod for 11 years. She has also served as liaison to our companion synod, the Cape Orange Diocese in South Africa. Peggy is excited to be working with congregations and leaders across the synod, deepening relationships and strengthening ministry. She values relationships and works to live out the definition of Congregational Vitality in the ELCA to help congregations be "communities of Jesus where there are life-changing relationships with God, one another and the world." She is certified as an ELCA Coach and has completed training in Community Organization. Peggy and her husband Steve are parents of young adult sons: Trevor, currently in a Masters program in Public Policy at Brandeis University in the Boston area, and Ethan, completing his degree in finance at Ithaca College in upstate New York. Peggy enjoys her dog, Sheena, live theater, travel, and is grateful for this opportunity to serve the Montana Synod. Executive Assistant: Susan A. Hedahl is the Executive Assistant for the Montana Synod. She started with the synod in January of 2002. Her experience comes from 25 years of work in the legal community, both with lawyers and a District Court Judge. Susan oversees the office operations, the annual Montana Synod Assembly, the roster, Synod Council meetings, Candidacy, and with administration and finances. Susan has a Paralegal Associates Degree from the University of Great Falls. She has been involved on the congregational level and served on her church council (First English Lutheran, Great Falls). Susan became a Lay Pastoral Associate in 2010. An avid quilter and knitter, she is the mother of an adult daughter traveling as a Physical Therapy Assistant in her pickup and fifth wheel, currently living in California. Colter is a Deacon candidate and lifelong member of Bethel Lutheran in Great Falls; where he also served as the High School Youth Director for 6 years. His position embraces the Synod benchmarks of Support Congregations and Meet the Future Boldly and is available to every congregation in Montana and Northern Wyoming for tech support and consultation. He has also recently partnered with the the Synod's theological education branch, the Northern Rockies Institute of Theology, helping to produce and develop new digital education opportunities for pastors and lay people alike. Staff Person for Candidacy: Robert Quam works with the Bishop and the Synod Candidacy Committee in the ELCA process of identifying, shepherding, and approving ministerial leaders. He has previously been part of the pastoral staff for congregations in North Dakota (Watford City), and in Billings (Atonement, Peace). From 1975 through 2013 he served as pastor and director for Christikon. He continues to reside in Billings, with Taurlin, his Schnauzer. He grew up at Frazer, Montana, attended college at Concordia College (Moorhead), and studied at Yale Divinity School and Luther Seminary. 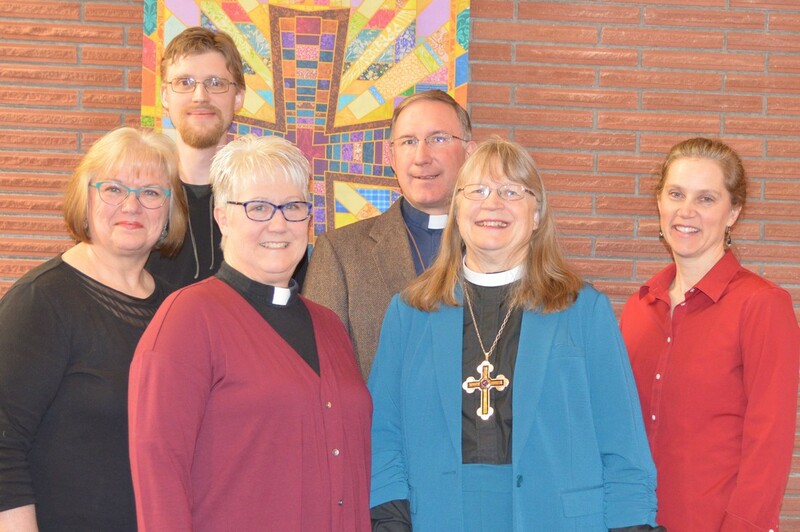 He has served on the board of the ELCA Division for Ministry, as member and chair of the Montana Synod and Region 1 Candidacy Committees, and on the board of Pacific Lutheran Theological Seminary. He currently is on the Board of Regents of his alma mater, and treasurer and board member for the Absaroka Beartooth Wilderness Foundation.